It is still unclear whether Daniel Craig will back into the role of secret agent 007. Now the film studio has offered him $ 150 million for two more Bond films. While currently wild speculation about a new James Bond actor, Sony still seems to believe in working with Daniel Craig. 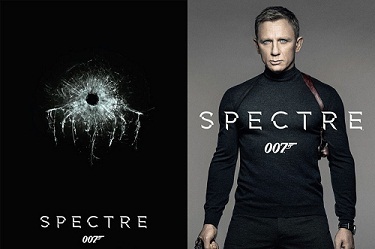 After his last adventure 007 Spectre, the actor returns as British secret agent 007 open. And also he allegedly refused a very lucrative offer from Sony with almost 100 million US dollars. Now the film studio with the producer Barbara Broccoli again working together to bring the actor back and offered him a whopping 150 million US dollars for two more Bond films. According to Radar Online and Sun producer, Barbara Broccoli has not given up hope of winning Craig for more Bond films. The 007 actor appeared already in four Bond films: Casino Royale (2006), Quantum of Solace (2008), the highly successful Skyfall (2012) and last Spectre (2015). As a possible Bond successor, there are numerous actors available for the role such as Tom Hiddleston (Thor, The Night Manager), Aidan Turner (The Hobbit), Jamie Bell (Snowpiercer), James Norton (Rush), Luke Evans (Furious 7 ), Michael Fassbender (Assassin's Creed), Damian Lewis (Homeland) and Idris Elba (Luther).